H.P. W.8B G-EBBI and Avro 504K G-EBYW caught by the tide at Rhyl. 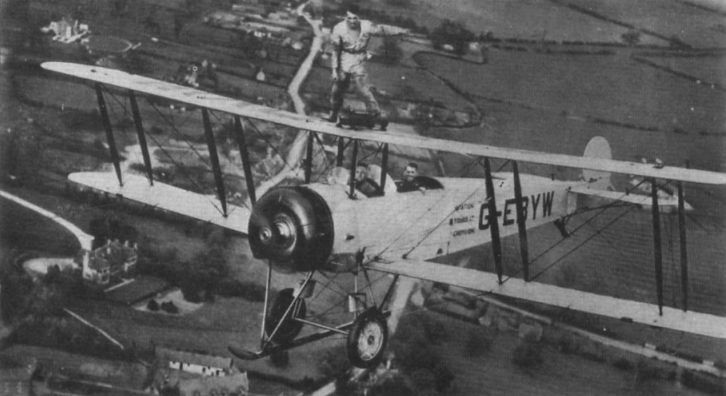 Martin Hearn doing his stuff on Avro 504K G-EBYW. 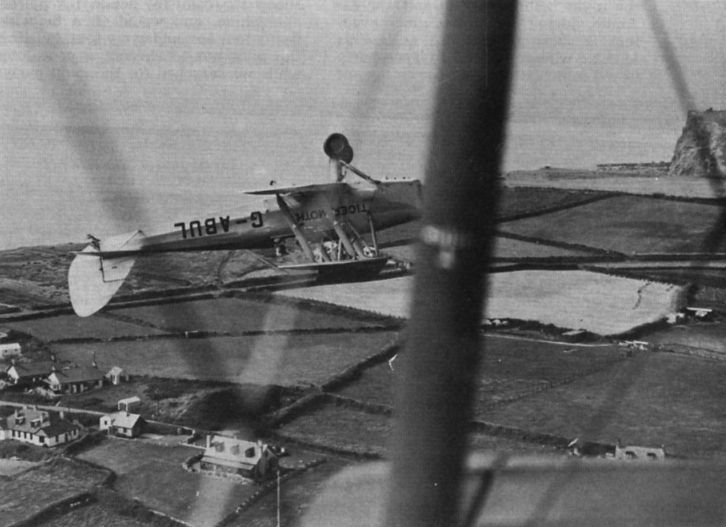 Martin Hearn atop Avro 504N G-ABVH. Martin Hearn takes it easy on the top wing of an Avro 504N. 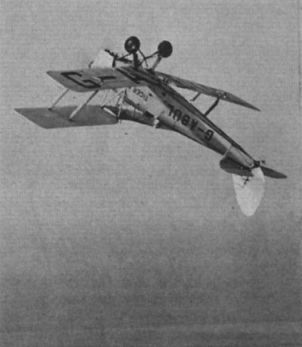 Cierva C.19 Mk IV G-ABGB flew with National Aviation Day Displays until February 13, 1933, when it crashed during a display at Cape Town. 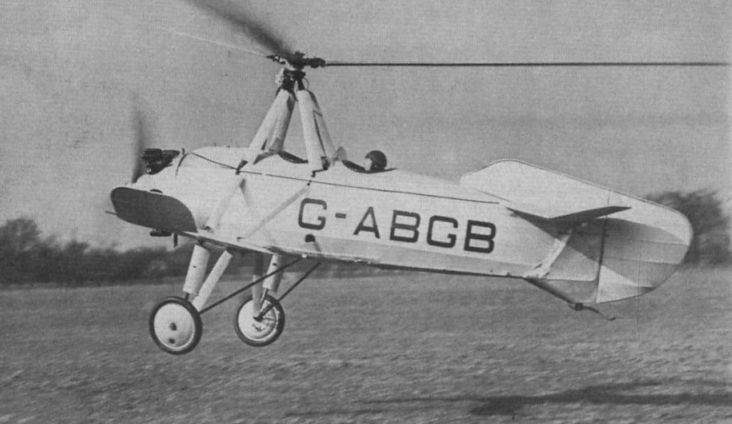 Cobham purchased C.19 G-ABFZ as a replacement and this Autogiro was flown during the 1935 tour. 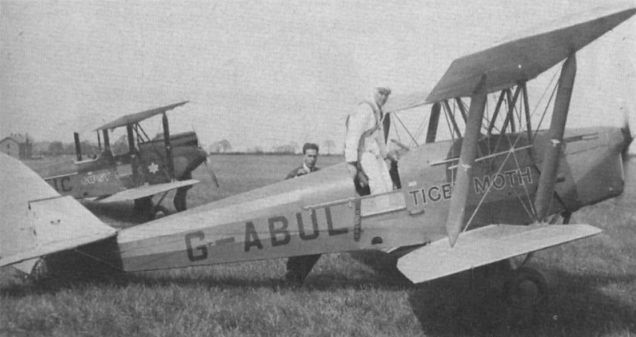 S. J. Carr’s de Havilland Tiger Moth in 1930-period scheme at Old Warden in June 1976. 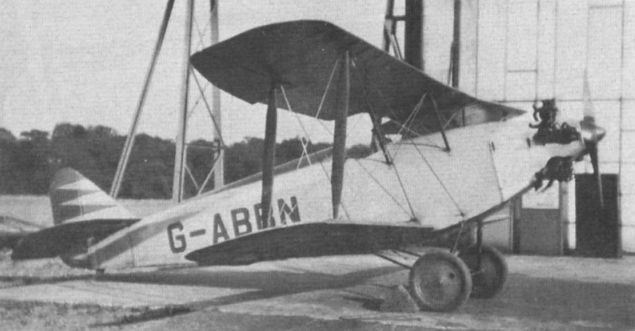 Re-fuelling the "Airspeed Ferry" G-ABSI with National Benzole Mixture, a standard fuel equally suitable for aircraft engines or motor cars. Its passenger seats already replenished. WIRELESS CONTROL: The Comper "Swift" G-ABPY has been fitted with a Standard receiving set in the small compartment so that the pilot (Fit. 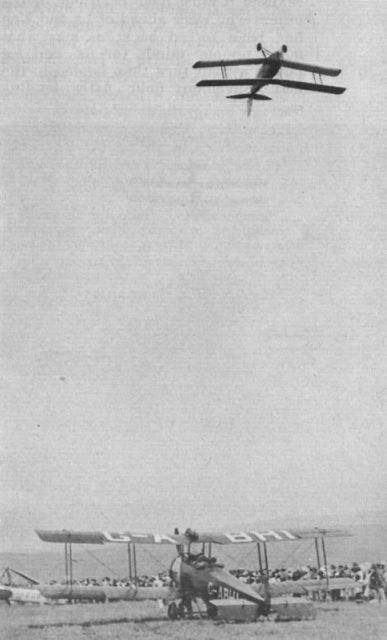 Lt, Turner Hughes) can be given, from the ground transmitting station, directions as to which aerobatics manoeuvre to carry out next. 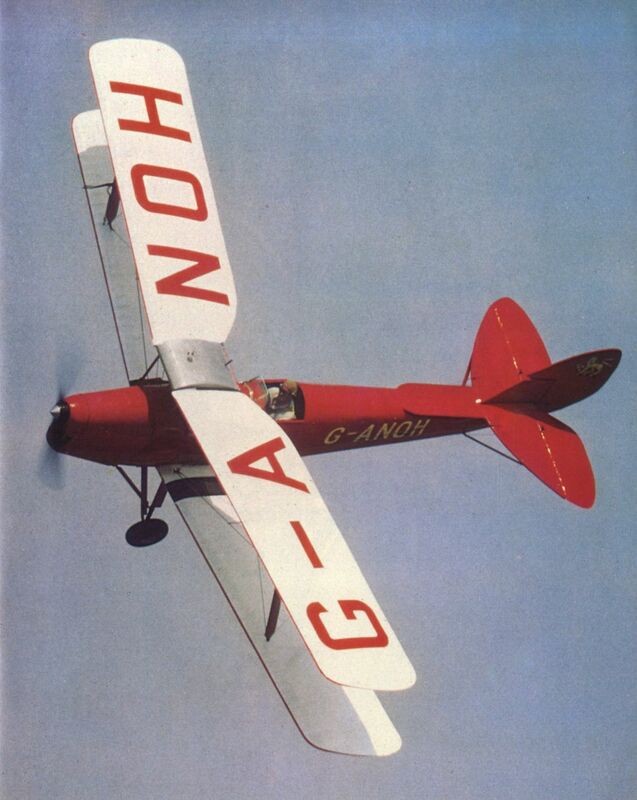 Southern Martlet G-ABBN, seen at Woodford, toured with National Aviation Day Displays Ltd for the 1932 season, giving aerobatic displays.